Symposium and professional training on "Understanding the role of Andean hydrology for water management: tools and concepts"
International Expert Symposium and Conference "Coping with Droughts"
Description: The workshop with the water user association took place from 20-22nd of May in Ovalle. Information was provided to the water associations. Description: WEIN project meeting at ribeka's headquarters in Bornheim. German and Chilean project partners presented the current project status of their work-packages. 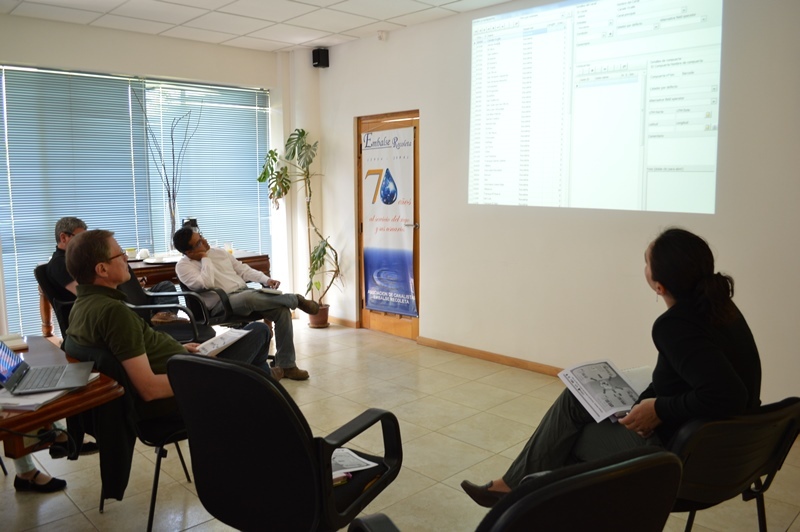 The newly developed Irrigation Water Management Software GW-IRIS was presented to the project partners. Additionaly, the schedule/agenda for the upcoming workshop in Chile was drafted and post-project targets were addressed. Description: The Project Meeting Workshop BMBF - CONYCIT project took place at the University of Applied Science in Cologne. Discussions about Drought Indices were the focal points. Participators were: ULS, PUCV, ITT, CEAZA and FSU Jena. 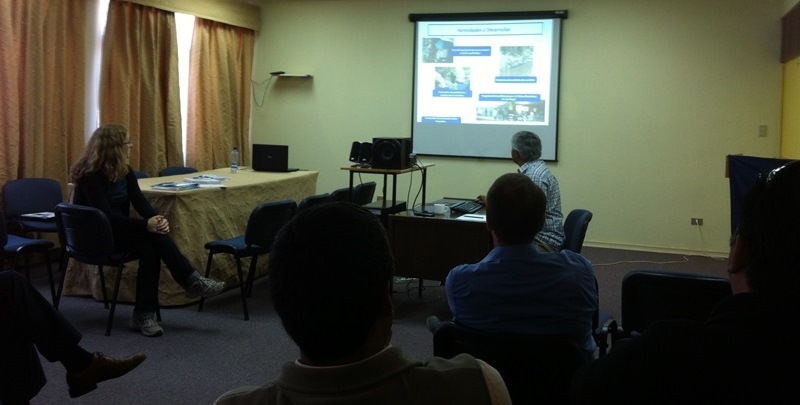 Description: A research workshop at ULS, Ovalle took place on 5th of December. The workshop aimed the cientific exchange of all partners and stakeholders. Description: From 30th november to 4th december data on the field was collected. 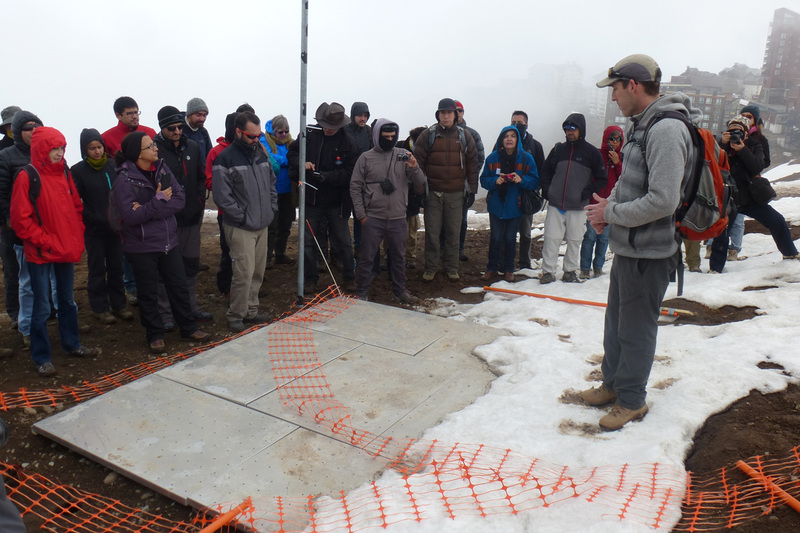 The field work took place in the Limarí Cordillera. Description: An international conference on Food, Water and Energy security Nexus, CNRD was held in Vina del Mar. A session on drought management on 27th of November with ITT, PUCV, CEAZA, ULS was part of the meeting. Description: The meeting focused on the promotion of the WEIN project for other associations like the Junta de Vigilancia del Río Elquí and its tributaries. The partners SEBA and ribeka have presented the technical part of the WEIN project. All technical installations were showed at a field trip. 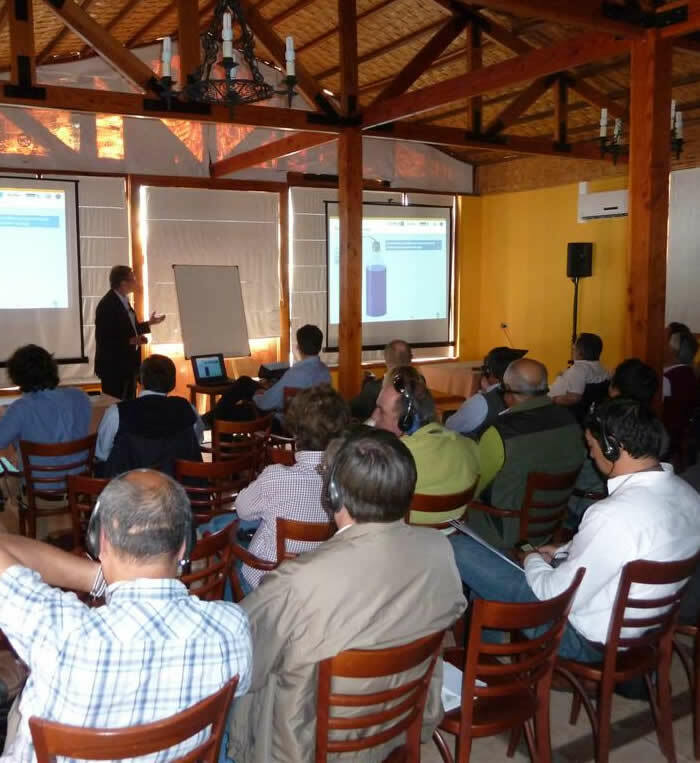 Description: The meeting focused on the installation and training of the ribeka-software, including a Beta version of the newly developed Irrigation Management Software GW-IRIS as well as the River Basin Information and Management System GW-Base in Recoleta and Palquí irrigation management schemes. Description: The Webbased Consortium of the WEIN project had a meeting on 9th October in Cologne. 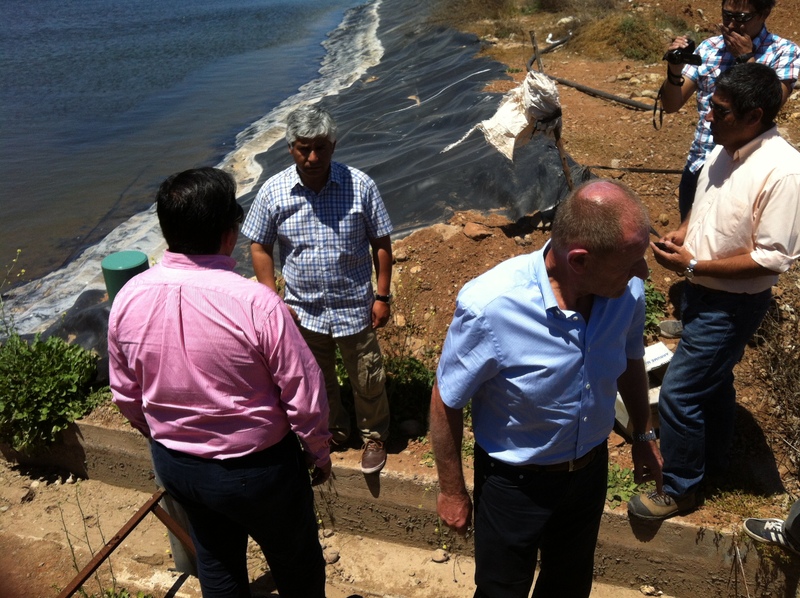 The conference focused on the development of the Drought Management in the Limarí River Basin. 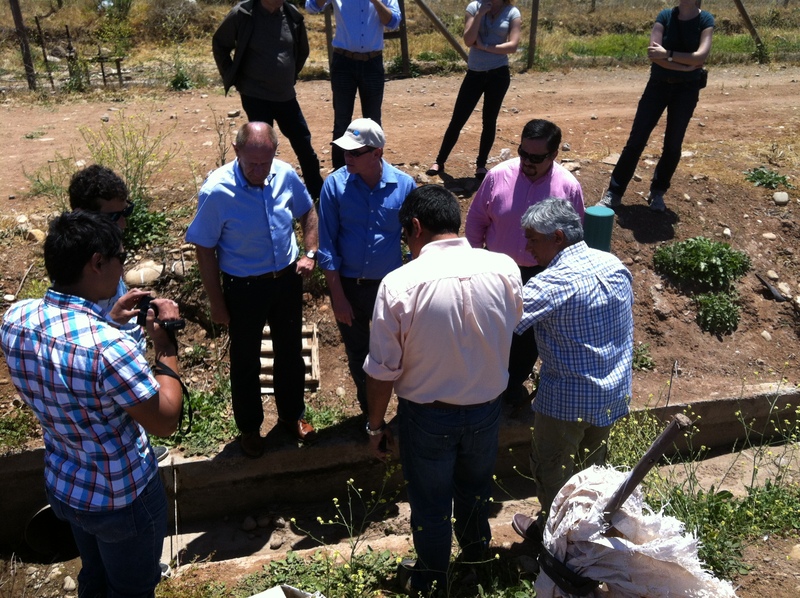 Description: During the project meeting in Chile discharge measuring stations in main streams and irrigation canals were installed. A field research campaign was carried out in the Cordilla, Tascadero and Rio Grande subcatchments. Description: The Workshop took place in November to promote the planning for water management in the Limarí River Basin. 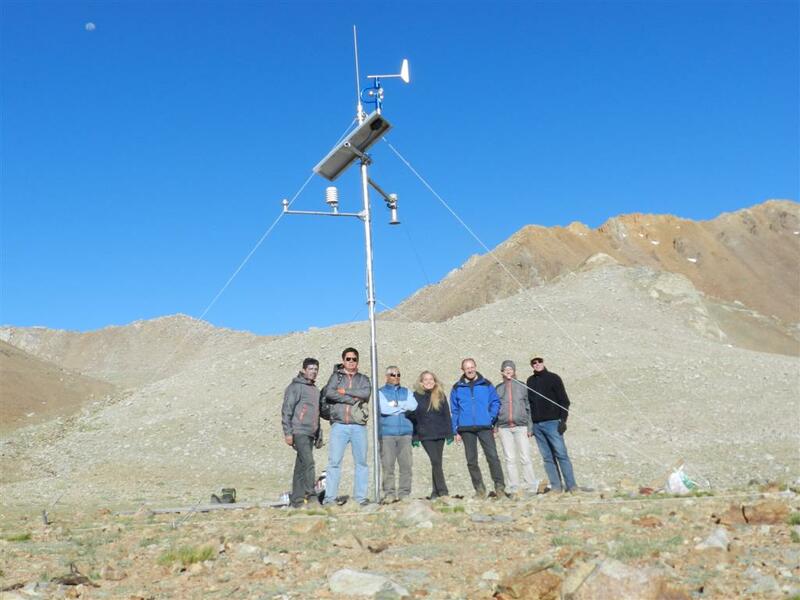 Furthermore, a high elevation of SEBA climate station was installed. Description: In order to present the plans and structure for the Limarí project, the consortium of the WEIN project organized a Kickoff Workshop.